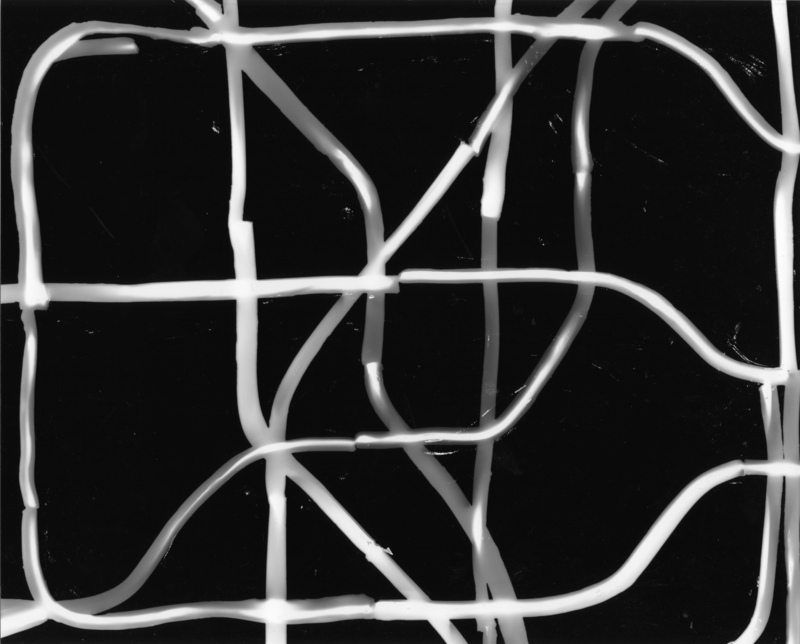 Last week I spent a few hours in a darkroom experimenting with photograms. As the title suggests, the idea was to create a representation of the London Underground, and ultimately to show growth of the network. On this occasion I used plasticine to show the map on the photographic paper. This was the attempt – the extent of the map is the Circle line to the north, south and west, and Bank station to the east. Both images suffered from the fact that plasticine is very sticky and finger prints ended up all of the photo paper. This could be partially reduced by placing clear perspex or similar between the plasticine and paper. The strength of plasticine also meant that the lines ended up being different widths. For the second image the exposure times for each stage were 0.5 seconds, I think this could have been reduced so there wasn’t such a big jump in colour levels between the stages. I’m not sure that plasticine is the right material for creating these, but am yet to come up with a better solution – something that’s just as pliable, but more solid. I will be going back to create more photograms, if anyone has any ideas or suggestions then please do say. This entry was posted in metro maps and tagged london underground, map, metrograph, photograph, tube. Bookmark the permalink. This is really interesting. 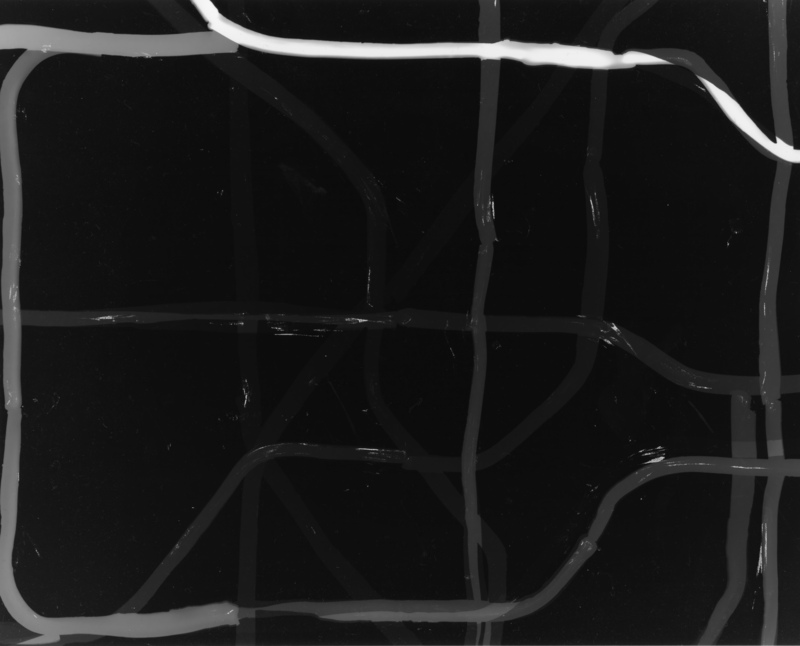 I once saw an art or something that showed traffic flow of major city subway networks…like blood vessels. It was really cool. Would love to get my hands on something like that to put in my living room.